We are baby boomers who have been privileged to enjoy our dream of early retirement while traveling full-time. After 10 years, we traded our 2005 37' Allegro Bay for a 2015 DRV Tradition fifth wheel being towed by a 2015 Silverado 3500HD Duramax dually. After another couple of years full-timing, we 'hung up the keys' last spring when we traded the fifth wheel and truck for a park model and a car. We now live in Wauchula, Florida in the middle of orange groves and cattle ranches...what many call 'the real Florida.' We are not blogging as often, but we are still exploring our new home state and sharing our discoveries.. Our heartfelt thanks to our soldiers and their families for their sacrifices that have ensured our freedom to live our dream. It rained all night Friday and most of the day on Saturday. Except for doing our weekly cleaning on Saturday morning, we just snuggled in, watched TV, read and played on the computer Friday evening and all day Saturday. We weren't planning to go into the gardens over the weekend because of possible crowds, but Sunday was so beautiful and sunny after the dreary weather on Saturday, we couldn't resist going back, especially since we had annual passes. If it turned out to be too crowded, we could just leave with nothing lost except the few minutes it took us to drive over to the gardens. We visited the Azalea Bowl on Thursday, so we decided to check out the second azalea area at the other end of Callaway Gardens called the Overlook Azalea Garden. It is the older and the larger of the two main azalea areas. However, when we drove past part of it on Thursday, we could see the azaleas there were farther along than the ones at the Azalea Bowl; and, even though there was some color left, most of the azaleas at the Overlook Garden were well past their peak. Unfortunately, the heavy rains on Friday night and Saturday just about completely destroyed any blooms that were still there when we drove past on Thursday. By Sunday, there were only a few azaleas that looked pretty from a distance, but when we got close, we could see the flowers were limp and starting to turn brown. Most had no flowers left. Only a few azaleas still had flowers after the rain. After we walked part of the trail through the Overlook Azalea Garden, we headed back to the car and drove up the road to the Holly Trail. There is a relatively large parking area there where they have a farmers market on spring and fall weekends. The market didn't have much produce this early in the spring, but there were things like breads, honey, soaps, candles and crafts. While we were parked there, we walked the relatively short Holly Trail, which features a collection of Asian and American hollies. Since dogs are allowed in all the outdoor areas in Callaway Gardens except for the swimming beach, we took Freeway on the walk with us. As you can see from the photo above, so far-so good with Freeway's surgery for cherry eye. All the swelling and redness have disappeared from both eyes, and we're hopeful there will be no recurrence. At the end of the Holly Trail, we encountered a relatively large garter snake. Margery made sure Freeway didn't get too close while Paul snapped a picture. From the Holly Trail, it was a short drive to the parking area for the Rhododendron Trail. Although it normally would be way too early for rhododendrons, even this far south, with the mild winter and warm spring there were some rhododendrons just starting to bloom and a couple in or near full bloom. Some rhododendron buds were about to burst forth. We had large, beautiful rhododendrons blooming every spring at our starter home, so they are special to us. In fact, we had the same colors as these two. A few rhododendrons were in full bloom. The Rhododendron Trail parking area is located at the Day Butterfly Center, which we also wanted to see. However, it was a little too crowded since it was Sunday, so we headed back to the motor home to watch the rest of the NASCAR race from Martinsville and saved the butterfly center for the next day. Gotta love the annual passes. The Day Butterfly Center is a glass-enclosed conservatory containing tropical plants and as many as 1,000 butterflies representing up to 50 different species. We headed back there on Monday morning. As you enter the center, there are displays of butterflies emerging from their cocoons. Butterfly eggs hatch as larvae (caterpillars). The larva will usually undergo several stages of maturity called instars. At each stage, the caterpillar will molt its outer skin. When the larva is finally mature, it will stop feeding and seek out a suitable site for pupation, usually the underside of a leaf. The larva will undergo one last molt after it attaches itself to the leaf and will be then it will become a pupa or chrysalis. The pupa may appear dormant, but there is a lot going on inside. The pupa is being transformed into a butterfly. As the butterflies emerge, they must pump fluids through the veins in their wings and wait for the wings to expand and dry before they can fly. Inside the conservatory, hundreds of butterflies freely flit about. Because of their seemingly erratic flight pattern, they are very difficult to photograph when in flight. When they did land, most of them kept their wings folded so the bright colors on the upper side of their wings were hidden. The Common Morpho butterfly pictured above has wings with intense blue color on the upper side. We both took dozens of pictures attempting to catch those bright colors, and the two photos below were the only ones that either of us was able to capture. As we mentioned earlier, the conservatory is filled with a variety of tropical plants and flowers. These were a lot easier to photograph than the butterflies. Tropical flowers fill the Day Butterfly Center. We spent the better part of an hour in the Day Butterfly Center, then headed back toward the motor home. When we were in town a few days ago, we saw a second barbecue restaurant called the Whistling Pig Cafe. In fact, we almost mistook it at first for the Three Lil' Pigs where we met Mike and Gerri for lupper. Since we find it hard to pass up barbecue, and since the Whistling Pig had a lot of vehicles parked outside when we passed it (and a lot of the vehicles were pickup trucks - usually a pretty reliable indicator of good barbecue), we decided to stop at the Whistling Pig for a late lunch. They are only open until 3:00 PM, so we couldn't go for lupper. We both had pulled pork sandwiches. Margery had a regular ($2.85) and Paul had a jumbo ($3.75). There is a combo for $7, but we ordered our meals à la carte and split a large order of fries ($2.85) and a small slaw ($1.75). The pork barbecue was nice and smokey, and the sauce had a delicious sweet-sour tang. The fries were homemade and crispy, and the slaw was good, too. We were looking forward to camping on the beach. We've heard pros and cons on the different RV threads we follow on the internet. We were anxious to find out for ourselves. 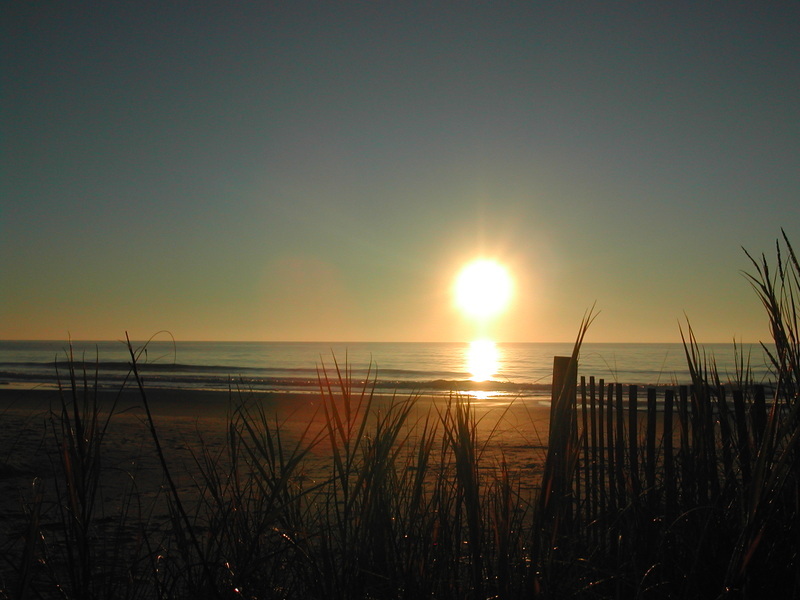 After researching several campgrounds with beach access, we decided to try Ocean Lakes Family Campground. We initially reserved 4 days on a site three sites back from the ocean. With almost 900 campsites in addition to the 300 rental vacation homes on site, Ocean Lakes was like a small city with their own post office, garbage truck, olympic pool, indoor pool, a 100 washer/dryer laundry, RV center, and 575 golf cart rentals. We had great fun riding our bikes around the eight fresh water lakes and on the beach. 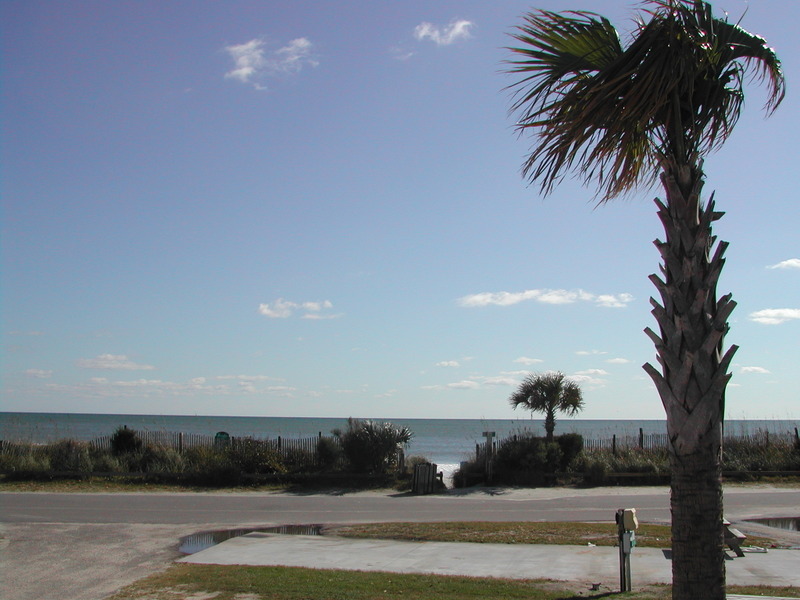 With winter rates at $25/night, we will definitely return to Ocean Lakes next November. With temperatures in the upper 60s to low 70s, the days were pleasant, the nights not too cold, and the beach uncrowded. 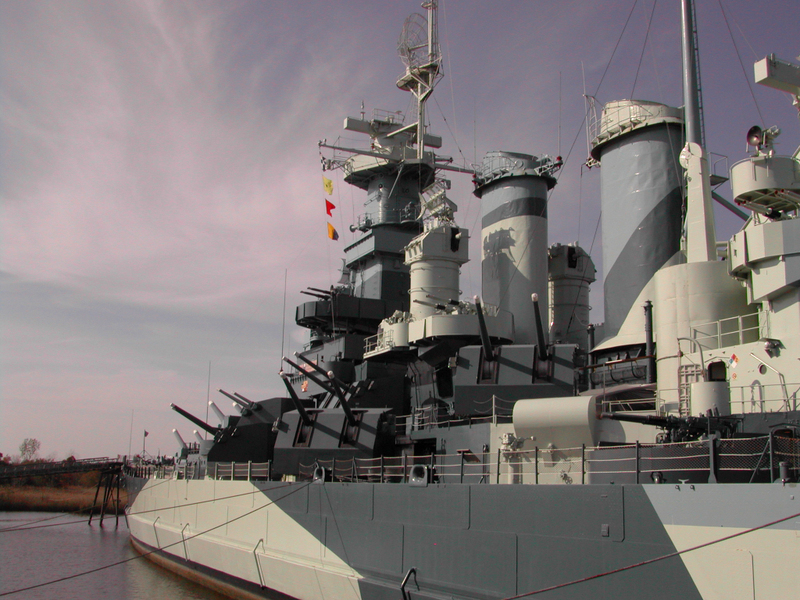 One day we traveled an hour back to Wilmington, North Carolina, to tour the USS North Carolina battleship. Commissioned in 1941, she was the first of ten fast battleships built by the United States which saw service in World War II. The North Carolina set a standard for new shipbuilding technology that combined high speed with powerful armament. She subsequently participated in the South, Central and Western Pacific campaigns during WW II. It was humbling to see the conditions under which the 1,880 officers and men lived and worked during the seven years she was in service. We could only imagine the decibels of sound the sailors endured when in battle and the cramped conditions under which they lived and served for months at a time. It was evident that many sacrificed much to ensure our freedom. Both Paul and I have a particular interest in World War II. We never had the opportunity to study the war when we were in high school in the early 60s. We were told we were still too close to it; the history hadn't yet been written. Personally, I think it was a travesty. It was the war that impacted our lives from birth. How much more would we have understood the sacrifices of our parents and appreciated the lives and privileges many of us enjoyed as young adults? We were sad to leave Myrtle Beach, but all 893 the campsites were reserved for the Thanksgiving weekend! We found that camping was still a viable option in the south in November. We were amazed at the number of RVs we saw on the road. 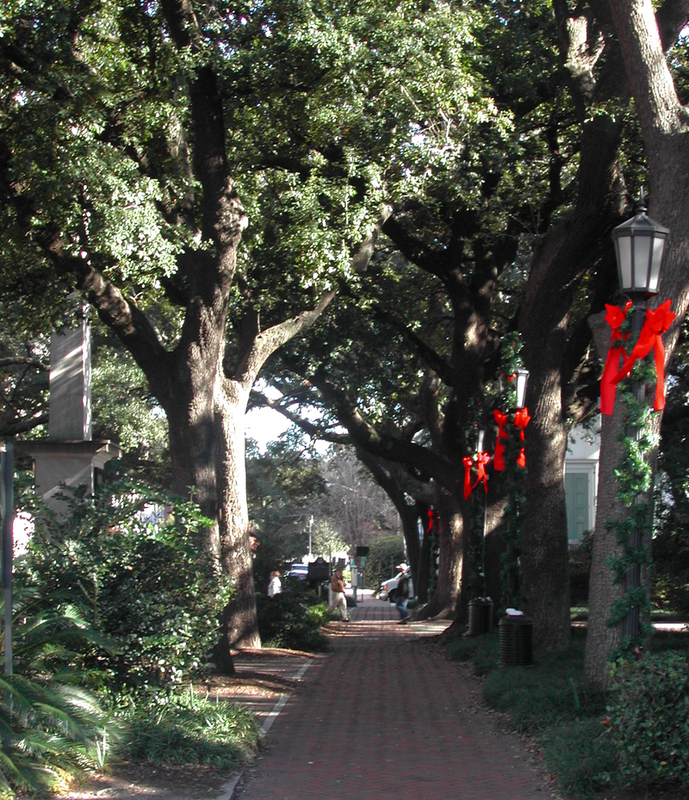 We debated whether to spend Thanksgiving in Charleston or Savannah. 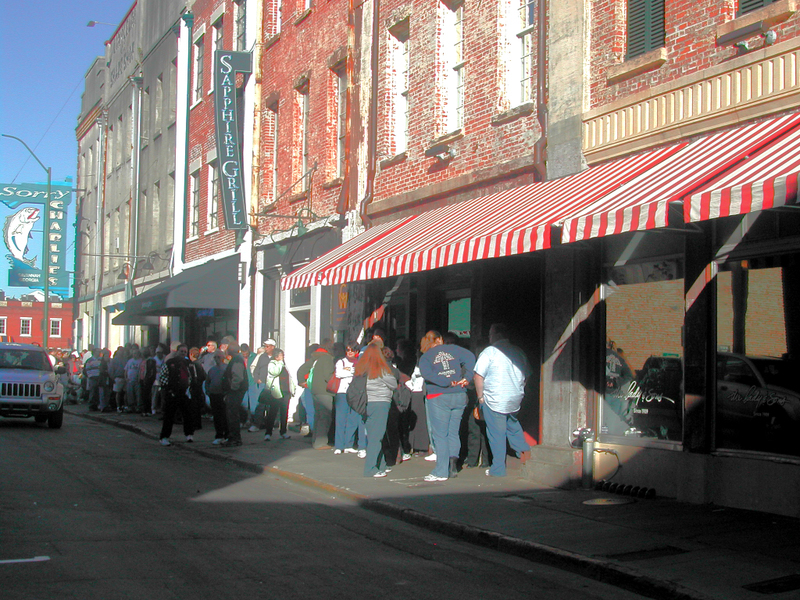 However, never having been to Savannah; knowing Paula Deen's restaurant, The Lady and Sons, was there; AND we were able to get reservations, Savannah it was. Lunch is served at The Lady and Sons from 11:00 - 3:00. You can't make reservations but beginning at 9:30 a.m. you can sign up with the hostess for a seating time. It took us two tries, but we eventually got on the lunch list. Here is the line that forms to register with the hostess beginning at 9:30 a.m.
We enjoyed the buffet lunch at The Lady and Sons. We wanted to try all those Southern recipes she prepares with all that butter! The new-to-us dishes we tried included collard greens and black-eye peas. Paul like the collard greens...I didn't. Neither of us were particularly partial to the black-eyed peas. However, the fried and baked chicken, macaroni and cheese, 3-meat pasta, lima beans, corn meal flapjacks, and cheese biscuits were delicious. While we waited for our 1:30 seating, we took a 90-minute, narrated trolley tour of Historic Savannah. We found each square to be an oasis in the hustle and bustle of a modern city and decorated for the holidays in an understated manner. The architectural styles in Savannah are eclectic making for a charming and interesting destination with many original buildings having been restored. We saw the home of Juliette Gordon Lowe, founder of the Girl Scouts; the square where Forrest Gump sat telling his story; a synagogue that was designed as a Christian church because the architect didn't know what a Jewish house of worship should look like; and the Second African Baptist Church where Martin Luther King included parts of his "I Have a Dream" speech before delivering it in Washington, DC. 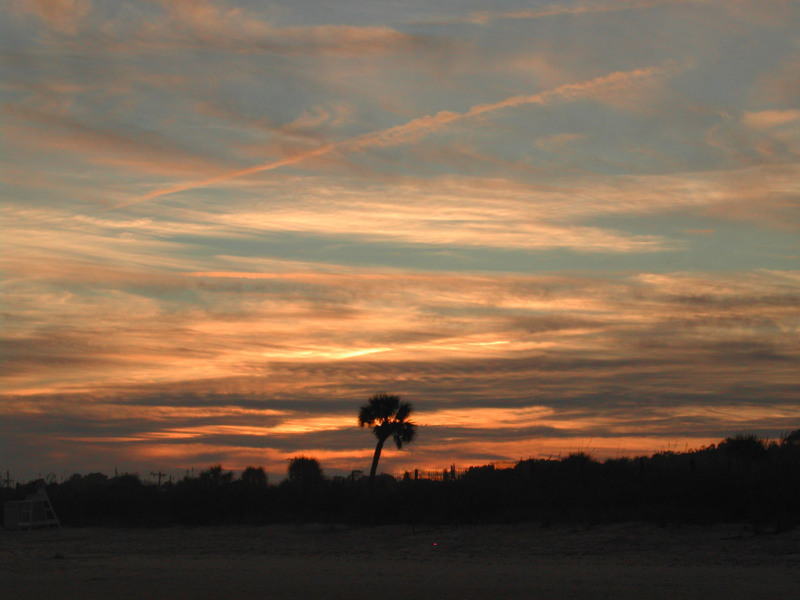 We spent a day on Tybee Island, due east of Savannah on the coast. It seems to be a pretty sleepy town in the off season. Visiting the Wormsloe Historic Site was the foundation for us to begin to understand the early history of the Georgia colony.The ruins date from 1733 when a Noble Jones, one of the original colonists who came from England, leased 500 acres from the colony's Trustees. He proceeded to construct a 1 1/2 story fortified tabby house. (Tabby is explained in the photo album.) 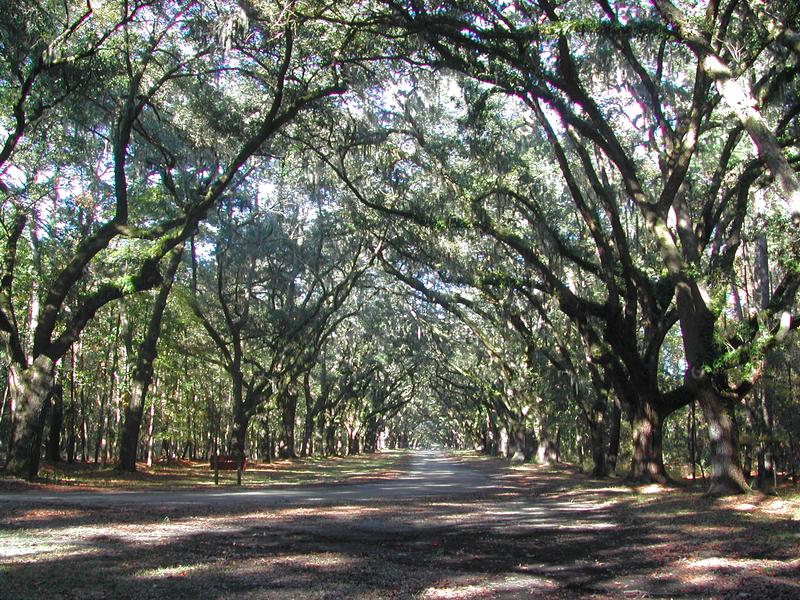 The 1.5 mile driveway is lined with more than 400 live oak trees planted in the early 1890s. Our visit to Fort Frederica on Saint Simon's Island, GA, one of the forts built by Oglethorpe to protect the fledgling Georgia colony from the Spanish attack from Florida, expanded our understanding of the area's history. Our tour of the site was prefaced by an excellent video. It was enhanced by the fact that Paul's Golden Passport got us free admission and my difficulty walking got us an the on-site golf cart provided by the National Park Service for touring the grounds. Paul got to ride and drive for a change! While on the island, we visited Christ Church. I had first learned about St. Simon's and Christ Church from the historical novels written by Christian author Eugenia Price. 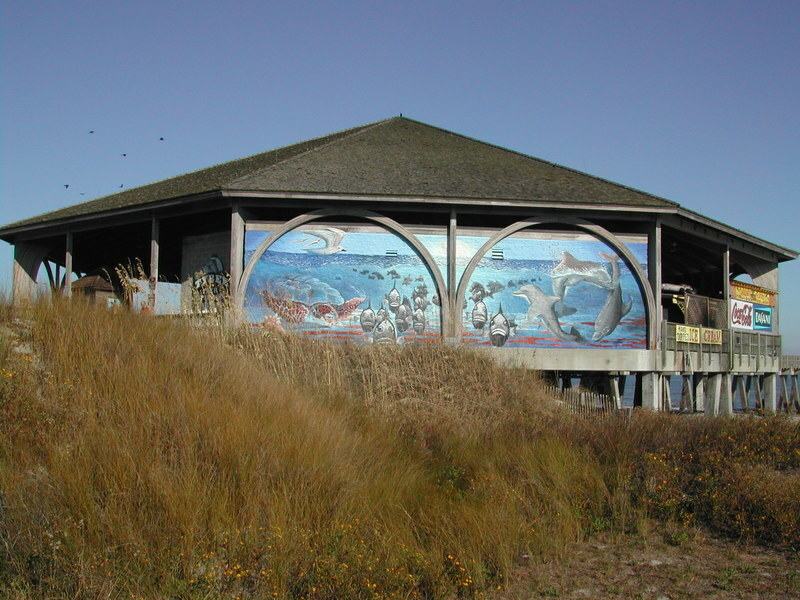 Although I have always wanted to visit St. Simon's Island, I never thought I would have the opportunity. Once again, never say "never." :) I'm looking forward to re-reading them now that I've been there. I agree with a fellow weblog writer... that Thanksgiving this year was not such a big deal. Our new lifestyle causes us to be more grateful every single day. Click on map for our 2017 travel route. Click on map for our 2016 travel route. Click on map for our 2015 travel route. Click on map for our 2014 travel route. Click on map for our 2013 travel route. Click on map for our 2012 travel route. Click on map for our 2011 travel route. Click on map for our 2010 travel route. Click on map for our 2009 travel route. Click on map for our 2008 travel route. Click on map for our 2006 travel route. Click on map for our 2007 travel route. An outstanding RV discussion forum. Check out other RVers' experience at campgrounds across the U.S.